Third party logistics company, Cerasis, Inc., upholding the core value of continuous improvement of processes and people, in order to serve North American freight shippers, announces completion of the freight claims management course. Cerasis, Inc., a third party logistics company specializing in freight technology and managed transportation services focused on Less Than Truckload (LTL), small package, and full truckload transportation management, announces today that 2 freight claim managers and Freight Customer Service Representative Manager, have received “Certificates of Satisfactory Completion” from ILM. Curt Hannula and Judy Strain, the two dedicated freight claims managers at Cerasis, along with Audra Wiste, the Freight Customer Service Representative Manager, have completed the course which focused on effective freight claims management. The course was challenging and academic in nature, with all three Cerasis employees completing 9 quizzes, 9 essays, and 1 two-hour final exam. Cerasis has offered turnkey freight claims management and technology solutions, alongside their other managed transportation and freight services, since the company’s founding in 1997. 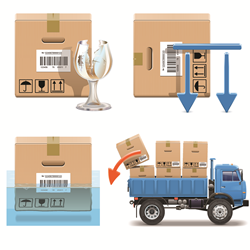 The freight claims management team instructs shippers on how to first understand freight claims, damage, and loss and then files the freight claim on the shippers’ behalves, following up with both carriers and shippers until the claim is satisfied. The new ILM certification for Cerasis employees shows the commitment of the third party logistics company to offer the best service possible to their more than 3,600 current manufacturers and distributors who ship freight in North America. The stated learning outcomes of the Freight Claims Management course offered by the ILM is that upon successful completion of this course, the student will be able to understand the liability of domestic and international carriers; contracts of carriage; the liability terms contained in the bill of lading; tariff rules pertaining to liability; the process of preparing and filing claims; and the options available for recovering monetary damages. Major topics covered in the course are the government regulations and statutes governing domestic transportation, (Carmack Amendment), contracts of carriage (truck, rail, air, ocean, and parcel express), rail and truck tariff rules, international treaties, claim preparation, filing, and recovery. The course is devised to allow professionals of both Shippers and Carriers to gain the most relevant knowledge on Freight Claims Management and be able to apply it immediately in a business environment. Students who successfully complete this Course will increase their professional competency in this specific area of Business Logistics. Cerasis’s core values are centered on continuous improvement and having an innovative and open minded culture. These certifications in freight claims, along with the recent certifications in the freight broker space are continued efforts of the company to be the de facto expert in effective freight management and esteemed as the go-to logistics services provider to drive both immediate and ongoing value for shippers. Beyond when a freight claim arises, Cerasis has recently completed an extensive educational freight claims management blog series, with plans to hold a future webinar in June of 2014 and publish an eBook for wider distribution. Founded in 1997, Cerasis is a top third party logistics company and truckload freight broker offering a powerful web-based transportation management system, the Cerasis Rater and managed transportation services to include freight claims management, carrier relationship management, freight auditing and payment, and dedicated customer service representatives for every shipper.